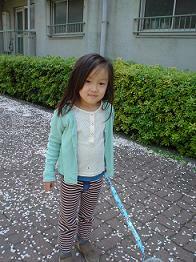 This is Nanami's friend. Her Name is Haru. She is the baby's sister in my blog last weekend. I will be in holiday between 9th and 13th. Thanks.